I have had months of failed efforts with toner and pnp and a laminator. My FIRST panel came out awesome, but everything thereafter was terrible somehow. I had to travel to laser country.. and even that was a nightmare at first. Clearly I've got some things to improve (higher laser power to kill all mask.. bigger typeface if doing deeper etches) but this is the first experiment worth of the final rig. but what does/will it do? i want one of those when it's ready! 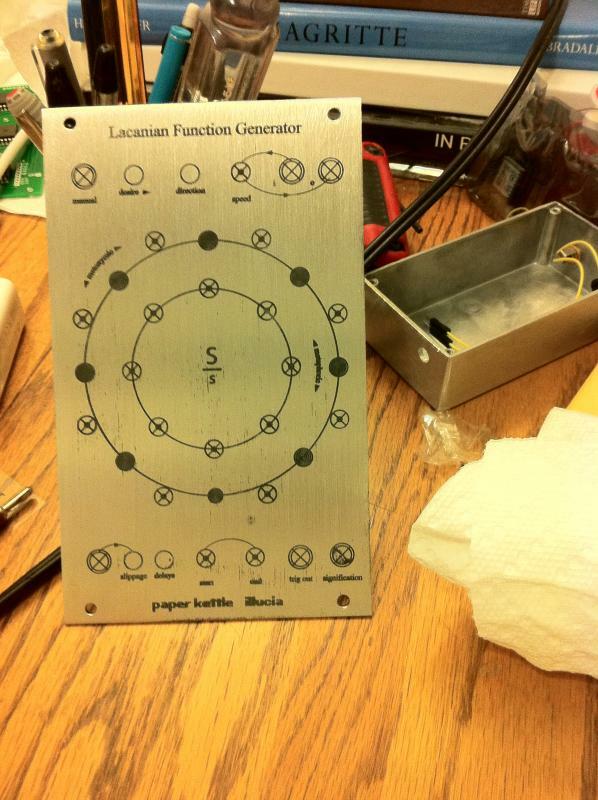 It's a Lacanian Function Generator. Come on, everyone knows what that is. It produces slippage, and significant delays from common household objects. 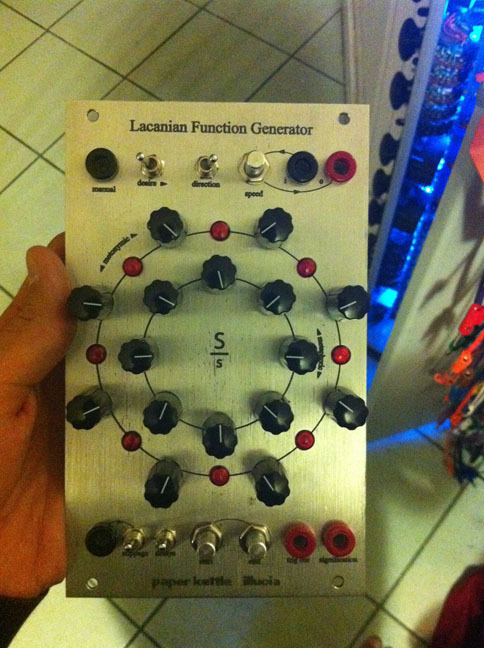 Stylistically, it is a tongue-in-cheek mockery of theory - it compares a variable time/slope step sequencer to signification and the production of desire. The panel is very nicely done. The Magritte book in the background is cool, too! Isn't it mirror-reversed? I can't tell. What a work of art, bricks. Did you design the circuit yourself?